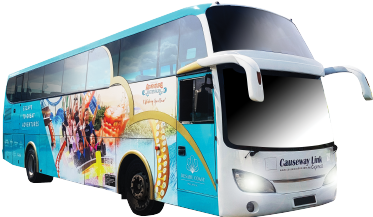 Discover Desaru Coast, the latest destination in Johor with our direct Causeway Link express bus services from Senai International Airport. With a travelling time of about 2 hours, you can reach this place with our spacious luxury bus. The resort is anchored by globally-renowned hotels and resorts and a conference centre fitted with modern facilities. 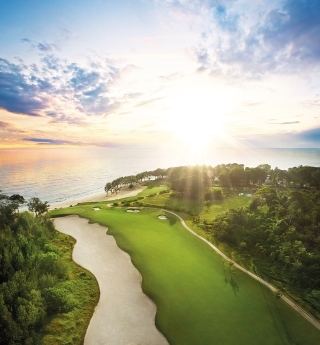 Featuring a perfect blend of business and pleasure, it also offers a 27-hole and 18-hole championship golf course with a supreme view of the coastline, a themed water park for families keen for an invigorating splash of adventure and a retail village with a wide range of offerings. Desaru Coast Adventure Waterpark is one of the world's biggest waterparks. 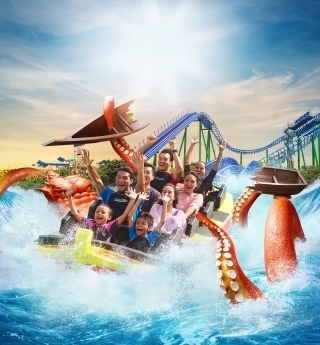 Set against the backdrop of a Malaysian fishing village, visitors can immerse themselves in the largest wave pool in Southeast Asia and experience the first water coaster in the region. Located within the premium integrated destination resort of Desaru Coast in Johor, the new waterpark features 17 different slides and a unique mix of wet and dry rides offering something for everyone.